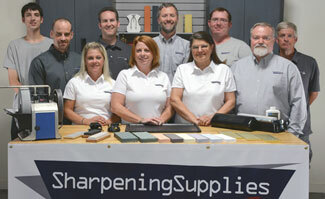 The Model CS-10 Mini is the perfect machine for the mobile in-store sharpening Professional. The Model CS-10 Mini features a compact design (11” x 11” x 7-1/2”) and lightweight construction (20 pounds) that make it truly portable. The CS-10 also features 14-gauge steel housing and a single speed, fan cooled, thermally protected 115 Volt motor. The 10” Micro-Serrated dual sided aluminum plate turns at 1050 RPM, giving it plenty of power and speed for sharpening A5 type blades, as well as trimmer blades and the vibrating type clippers used in barber and beauty shops. 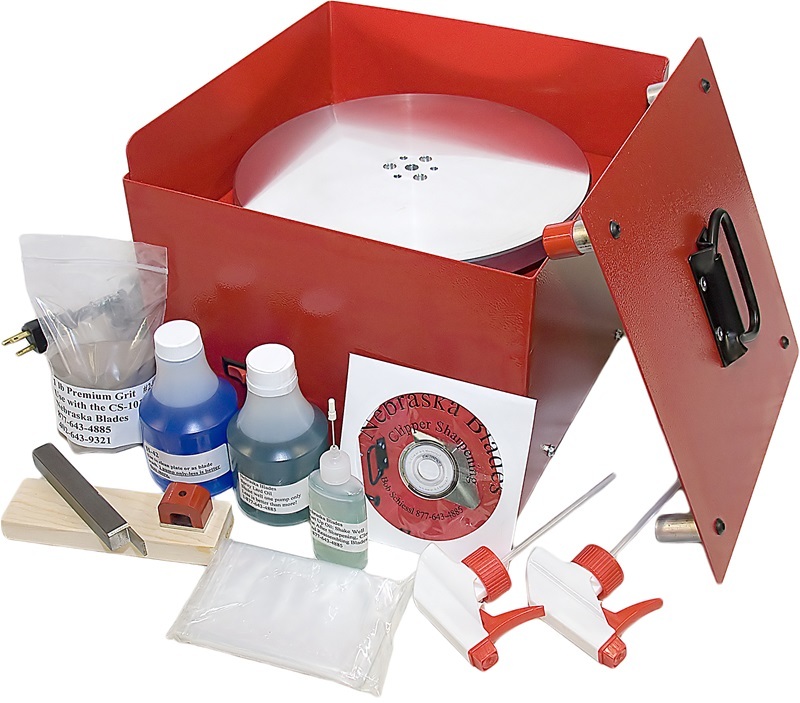 The machine comes equipped with the necessary supplies to sharpen about 1,000 clippers. Also includes a complete training video that has helped thousands master the art of clipper sharpening.